Detox is basically cleansing your body of all waste and unnatural toxins that have been accumulated by our daily lifestyle choices. In order to maintain good health, it is essential to get rid of these toxins from your body. 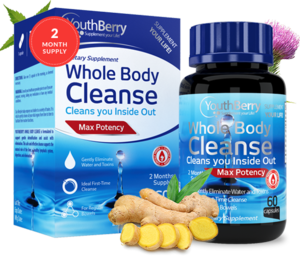 YouthBerry’s detox program is formulated to keep you at your healthy best. The detox program maintains a healthy pH level in our body, and boosts digestive and immune system. Our lifestyle today exposes our bodies to a variety of toxins. It is vital to gently cleanse all our vital organs from time to time to facilitate their routine functions. 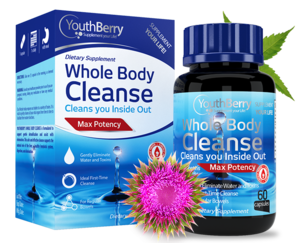 YouthBerry’s Whole Body Cleanse is formulated to support gentle detoxification and assist with elimination. This safe and effective cleanse supports the natural role of the liver, a healthy lymphatic system, digestion, and elimination.